Not that there was anything wrong with Someone Else’s Love Story by Joshilyn Jackson, or her writing, but I did stamp my foot a little when I didn’t get the ending I was hoping for. My first thought was that somebody should have given that girl, Shandi, something more stimulating to tempt “Thor” with than a pot of potato soup. Yes, he was a simple, down-to-earth guy who would appreciate such a basic, home-cooked meal, but I thought we were on a mission, here! Weren’t we? Was I the only one who was rooting for her? Surely, I thought, Mimmy had some fabulous concoction from her time as owner of the Olde Timey Fudge Shoppe that would work wonderfully to entice a potential lover. But considering the fact that she had spent years loving just one man, and from a distance, I guess seduction, and teaching her daughter the art of, had been the last thing on Mimmy’s mind. If characters were real and we could jump into books to help them out, I’d pop into this one and sneak my recipe for Orange Creamsicle Fudge into Mimmy’s recipe file so it would be on hand for Shandi when she needed it. I know that the outcome would have been the same. It would have to be, it’s too beautiful and perfect, but at least Shandi could always have known that she gave it her best shot. 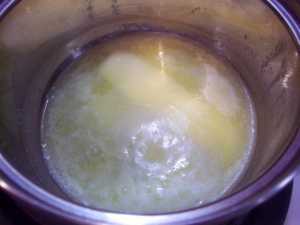 Heat the butter in a small saucepan over low, just until it is melted. Remove from the heat. Whisk in the salt and extracts. 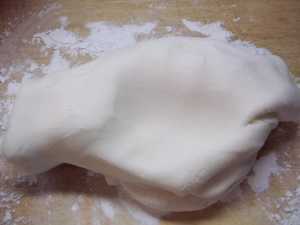 Using a heavy spoon, stir in the sugar, adding cream as needed until a workable confection is made. Divide the fudge in half. 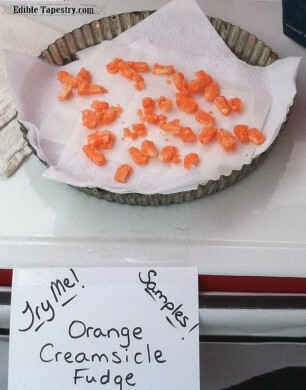 Add just enough food color to make one half a bright orange. 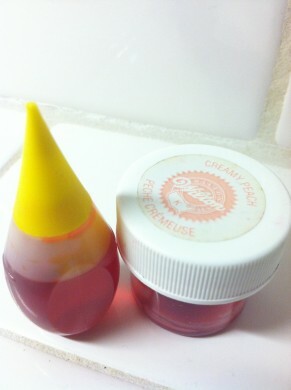 I used just a smidge of peach paste color and a couple of drops of liquid yellow. 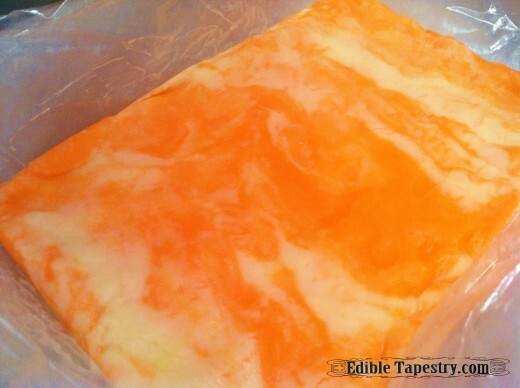 Knead in the color, then very lightly mix the orange colored fudge into the remaining white fudge to swirl and marbleize it. Press it into a plastic or parchment lined 9X9″ square pan, or something similar, and chill. When it’s solid, cut it into squares.